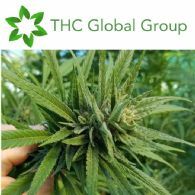 THC Global Group Limited (THC Global or the Company) (ASX:THC) (OTCMKTS:HDRPF) advises that the Company has appointed Mark Fortugno as the Group's new Chief Financial Officer. Mark's appointment follows Jarrod White advising the Company of his resignation and a subsequent executive search for an experienced CFO with cross-border transactional experience. The Board thanks Jarrod for his services and commitment to the Company over the past one and a half years. Mark is a Chartered Accountant in Australia and Canada, in addition to being a Certified Public Accountant in the USA. Mark's experience spans over 15 years including Manager at KPMG (USA & Canada) in Cross Border Taxation, and as CFO for private-equity backed Cater Care (Aus), leading its growth in headcount by 720% and revenues by 474% (to $237 million) within 5 years of his appointment. Mark is a Canadian national and has significant financial management experience in Canada which will benefit the Company as it grows its Canadian asset portfolio including a cannabis cultivation site in Nova Scotia, Canada to be completed shortly. Ken Charteris, Chief Executive Officer of THC Global, commented: "Mark's specialisation in cross border transactions and implementation of high-growth strategies are a perfect mix for THC Global as we seek to aggressively expand into new regions and markets over the next 12 to 24 months in addition to transitioning into full-scale operations at our domestic cannabis production facilities. We look forward to working closely with him in an exciting new period of growth for THC Global". - 750,000 Performance Options expiring 11 July 2021 exercisable at $0.75 each - vesting upon THC achieving a two-week Volume Weighted Average Price of $0.75 per share on or before 11 July 2020. - 1,250,000 Performance Options expiring 11 July 2021 exercisable at $1.20 each - vesting upon THC achieving a two-week Volume Weighted Average Price of $1.20 per share on or before 11 July 2020. Mark has over 15+ years growing businesses internationally across Australia, Canada, the USA, Asia Pacific from start-up, to SME, corporates and multinationals. Mark's strategic and leadership experience spans finance, general management, operations, facilities management, business development, investment consulting, human capital, and restructuring. Mark has completed Leadership and Negotiations programs at the Harvard Club of Australia, in addition to governance training at the Australian Institute of Company Directors. Mark holds a Post- Graduate Degree in Accountancy and a Bachelor of Commerce with Distinction. Mark's strategic growth knowhow was forged across iconic groups including KPMG, SNC-Lavalin, and Cater Care Group. His specialist expertise includes strategy, investment and commercial appraisals, capital management and treasury, financial planning and analysis across international markets.